Copenhagen, November 26, 2018 – NNIT A/S has signed a contract with Sund & Bælt Holding A/S on preparing the company’s IT-platform for digital transformation. 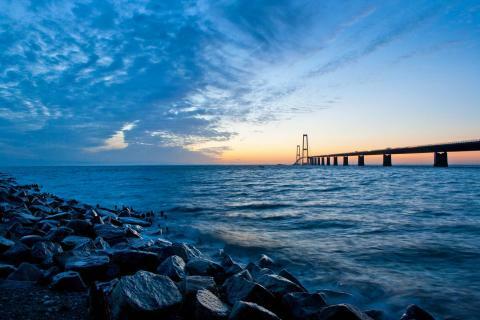 The Danish, state-owned holding company, who owns and operates the bridges across Storebælt and Øresund including BroBizz and eventually Femern Belt wishes to digitalize operations of the large infrastructure facilities in collaboration with external technology partners. Use of Big data, Artificial intelligence, sensor technology, and robot technology requires an IT-platform that embraces digital innovation. The holding company’s ERP solutions, therefore, require an update to the latest cloud-based version with integration of third party products. According to the agreement, Sund & Bælt will put the responsibility for upgrading, development, maintenance, and operations of the company’s IT-platform in the hands of NNIT for the next up to four years. In the Danish IT landscape, the agreement is a special one because it involves close cooperation between two different units: NNIT as a large and consolidated supplier of digital innovation and robust IT-operations, and SCALES, its fast-growing subsidiary company who focuses 100% on Microsoft’s cloud-based Enterprise Ressource Planning (ERP)-systems. NNIT acquired SCALES in May 2017 to become Denmark’s leading partner and provider of services around Microsoft Dynamics 365. SCALES has won several Microsoft Partner Awards and was nominated repeatedly during the past five years. The tender process began in June 2018 and four suppliers were prequalified. NNIT’s offer provided the best balance between price and quality. The contract’s estimated value reaches a lower two-digit DKKm amount. The duration of the contract is 24 months and the framework agreement can be prolonged for a maximum total of four years. As a leading provider of IT services and consultancy NNIT A/S focuses on innovative and robust solutions to the life sciences sector internationally and to customers in the private as well as the public sector in Denmark, including operation of the third generation of the public digital infrastructure backbone, which makes Denmark one of the world's most digitized societies. NNIT A/S has more than 3.100 employees globally. Helga Heyn, NNIT Communications, +45 30 77 81 41, hhey@nnit.com. 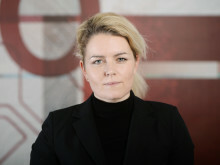 Lene Gebauer Thomsen, Head of Communication, Sund & Bælt, +45 21 70 44 50, lgt@sbf.dk. BroBizz is the company responsible for automatic payment solutions applied to the major bridges linking Denmark together.